There are many advantages to advertising with a business blog in today’s competitive online marketplace. For one, blogs carry more weight with search engines because they are updated regularly with fresh, informative content. This consistently updated information is a magnet for search engine robots. When these bots crawl blogs, the more information that can be found and indexed the better. Blogs add more and more content as they develop, thus helping that information reach more customers. The users finding blogs online are typically very targetted visitors, having searched for a specific keyword found in the blog to end up there. The owners of these blogs are also advertising their sites all over the internet and participating in the very active blog community. Where do I begin? Your consultant phoned me on Feb.28/08 and gave me advice on all kinds of different things I could do to market my website better. He mentioned Blog, Press Release and many other things, but those 2 things I remember the most. My brother and I both talked about it and decided that we would give him a chance to show us what he could do for us. That was the best thing we ever did because you get to meet some great people which help with the Blog and putting the Press Release together. The Biggest thing that happened to us is when you published the Press Release not even a week on-line already I was getting phone calls from MTV Movie Awards & Living in Style. iePlexus helped me get where I am in 1 month of marketing. Isn’t that Awesome!!! *NOTE: Please do not contact any clients without prior written authorization from iePlexus. Thank you. 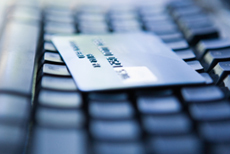 Getting inside the head of an e-commerce shopper can be a daunting task. There are many variables when it comes to the question of conversions; including product cost, professionalism of your website, shipping factors, payment options and much more. With the rise of e-commerce comes increased competition. Don’t think that your customers won’t search out your exact same product on your competitors site to find the lowest cost. With seemingly endless availability, how can you ensure your business gets the attention and the customers it needs to survive? Just wanted to send a quick note to tell you how much we appreciate the attention we are getting to date. Excellent all the way around. We especially appreciate the very regular and timely communication. This tells us that you appreciate our sense of urgency and respect our business. With the constant expansion and evolution of the web, new trends develop almost daily. The new buzz is all about Web 2.0, a concept that is quoted often, but doesn’t have a concrete definition. For those of us who dive into the internet in our daily lives, it’s something we can’t avoid, even if everyone explains it a little differently. For our purposes, Web 2.0 is the advancement of the web, the progression from single, isolated websites to a vast expansion of connected applications and services. Websites like Flickr, MySpace, Digg and LinkedIn embody the idea and fundamentals of Web 2.0 – they’re not just websites, but communities; networks of users collaborating for the end goal of improving and categorizing the endless amount of information on the web. We now have the opportunity to use the internet as a platform for connection, and the concept of Web 2.0 enables that. Keep in mind this isn’t limited to social-oriented websites, business and application based sites are just as affected, and they’re embracing the new changes for the potential they hold. I want to thank the staff at iePlexus.com for the most professional, and custom looking Blog that’s a perfect match for my web site Only-PepperSpray.com. Your designer went far above my expectations in what I was looking for. It truly shows that he put a lot of time and effort into this project. He’s a real pro at what he does. The training I received on how to navigate and use my Blog was outstanding. She was very patient in the training session, and assured me that if I had any questions that she was only a call away. I’ll admit I was a little nervous talking to your writer about the information in my press release. His mannerism soon calmed me down and made it very easy to complete. He is truly a great writer. Your blogger on the writing about my products did much better than I could have possibly done. It was as if this was her site that she was writing about, and put a lot of thought and heart into it. Is Google Done In China?